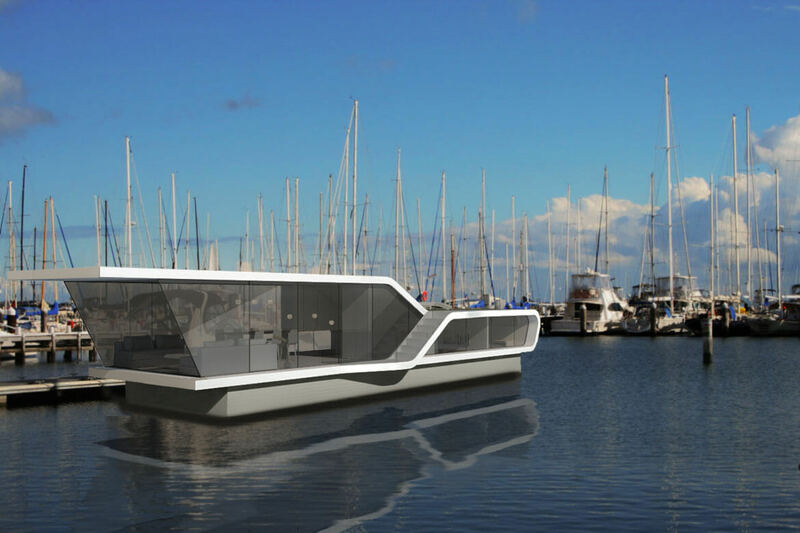 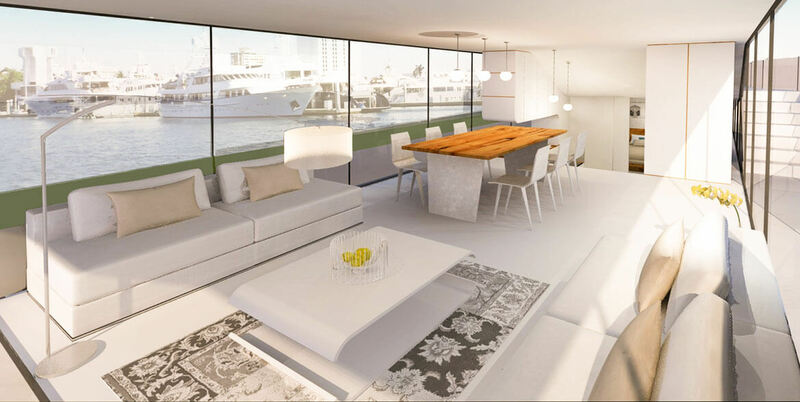 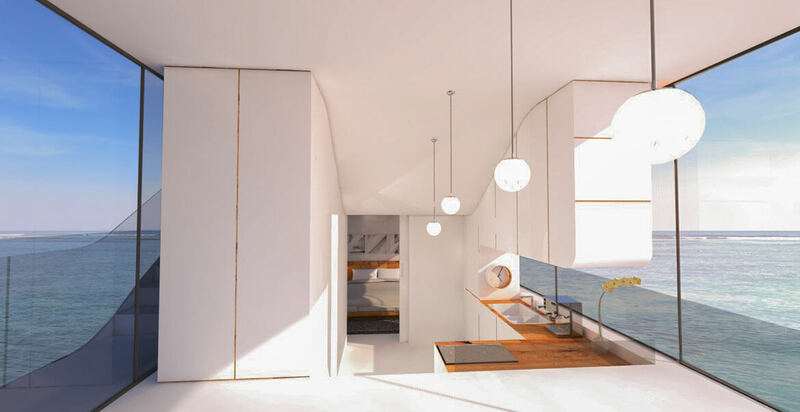 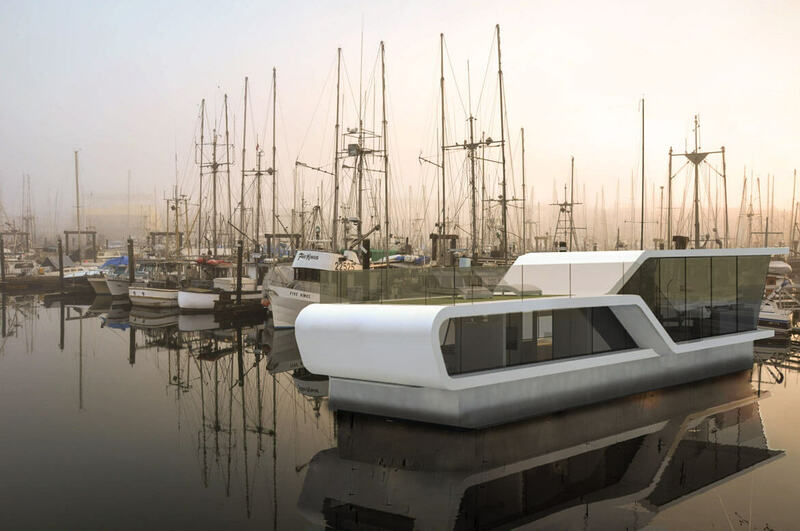 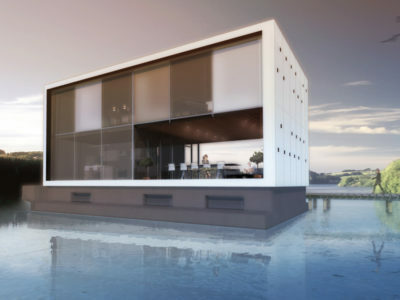 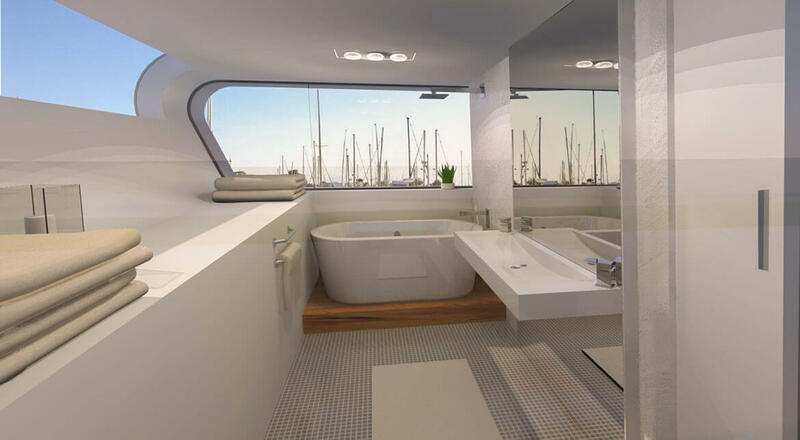 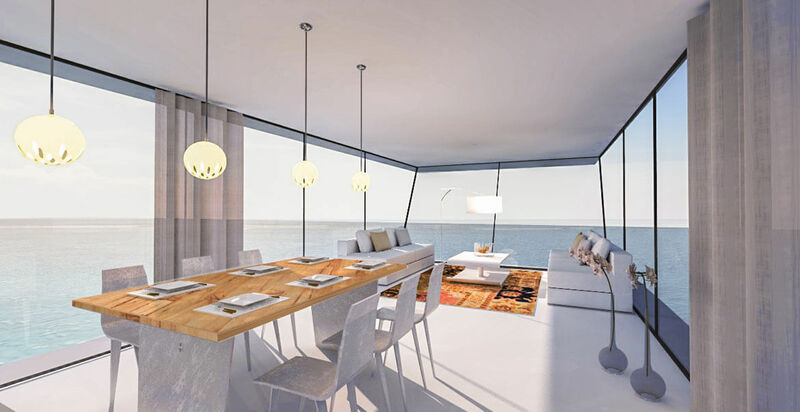 This luxurious floating villa is designed as such that it can be moored in a harbour. 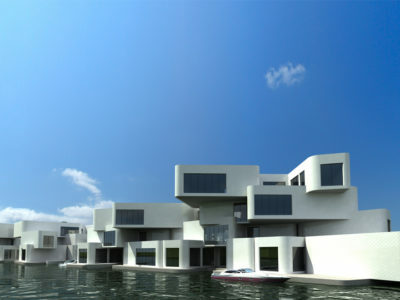 This is a perfect economic solution for the harbours which are now partly empty. 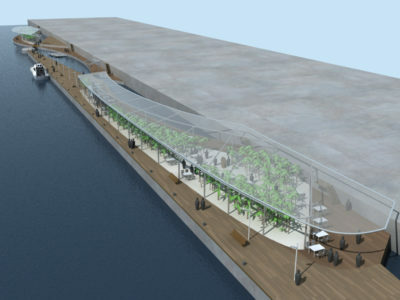 The glass facade provides view to all sides. 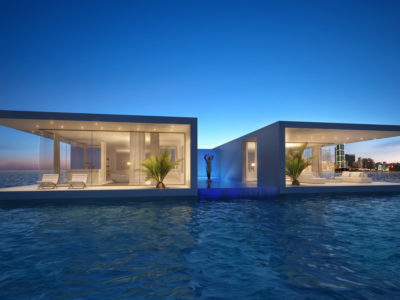 The shape of the villa makes it possible to enter the roof from which you can navigate the villa or relax.